Putting the "force" in the Speed Force, the latest statue from the DC Core line has the legendary hero cracking the pavement with the impact of his strides. This Scarlet Speedster will make a great addition to any collection. DC Core is a line of 9-inch scale premium statues that appeals to fans of DC and its core characters. 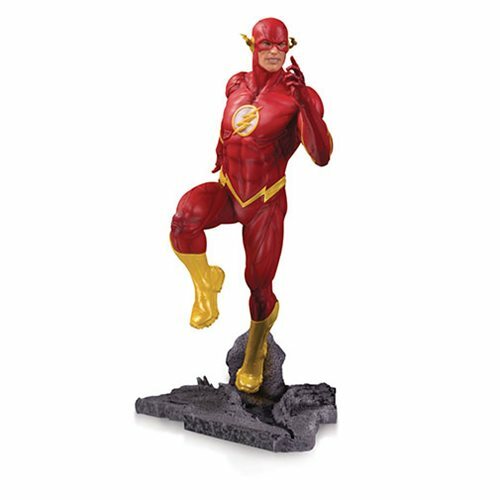 Made from PVC, this DC Core The Flash Statue is a limited edition of 5,000 pieces.